Are you fed up with adults looking all shiny and oiled? 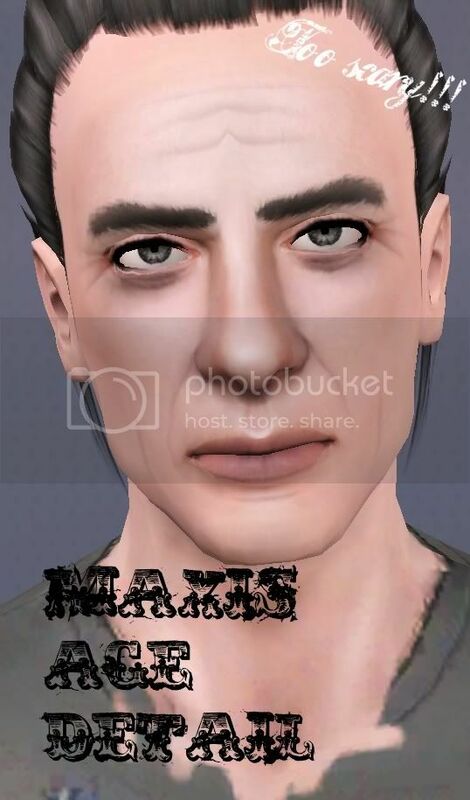 And don't want to use the ghastly default wrinkles game has (EWWWW...)? Here's Subtle Wrinkles, a face mask for both genders from YA to Elders that creates a mature or edgy look! It's not recolorable, since it adapts to skintone. 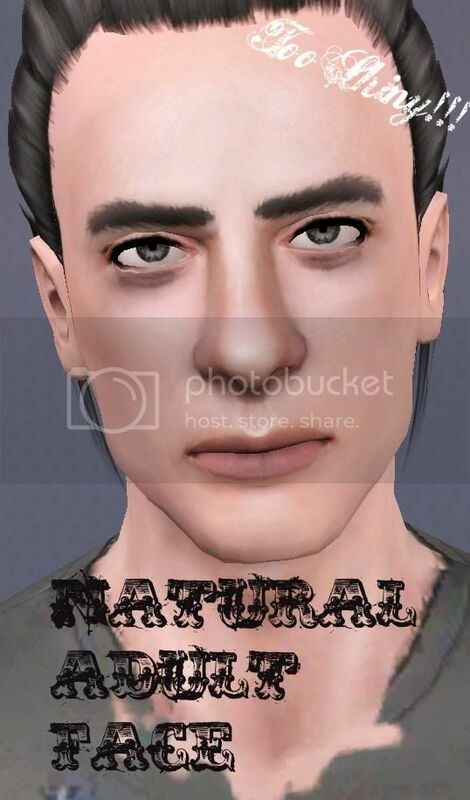 You can now download this as face mask, or age detail (which will appear next to default wrinkles, but only for adults and elders) or BOTH, when you can layer them to get a stronger look. 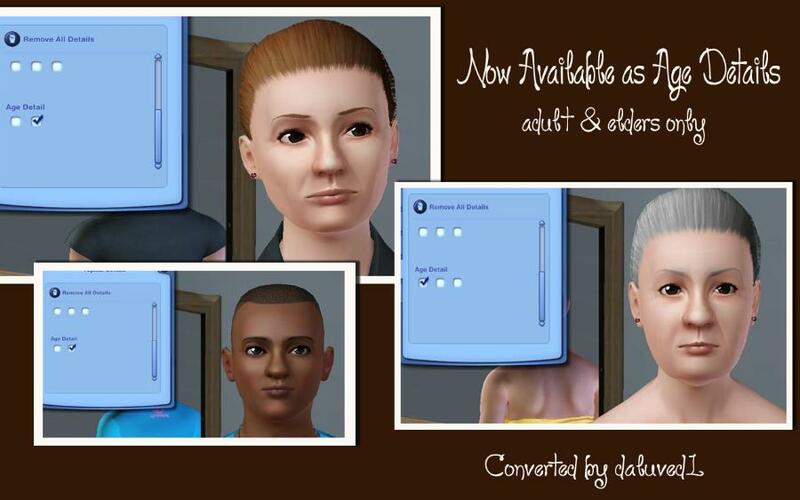 Thanks to Daluved1 for converting this as Age Detail! 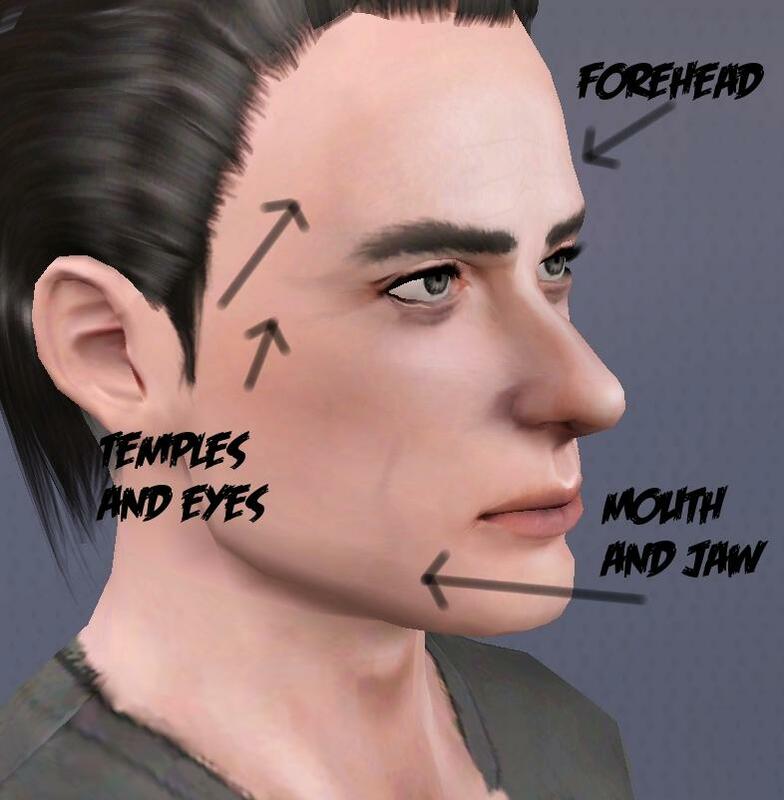 The facemask has more shadowing to templates, eyes, cheekbones and jawline, and has wrinkles on forehead, eyes and mouth. All effects, that create a natural and mature look! Eyebags on model, Lucius and Snape by me. 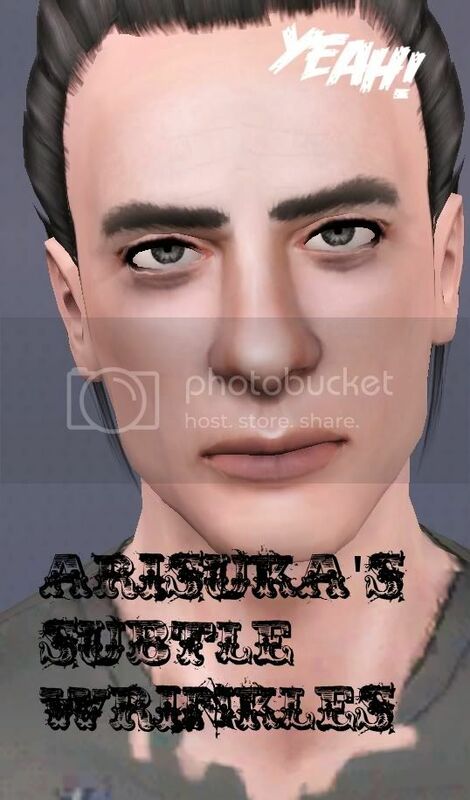 Brows on Snape and Robert Downey Jr. ,and his stubble too, by me and will be available sometime soon. Arisuka_SubtleWrinkles.rar | Description: As Facemask, for YA to Elder.